Research into empowering people with dementia and helping them to live independently will take place at the University of Southampton, thanks to Alzheimer's Society. The charity which champions the rights of people living with dementia and the millions of people who care for them has announced the launch of a new dementia-focussed Doctoral Training Centre at the University of Southampton. The centre will support five researchers to develop new ways to support and improve changes in dementia care. There are significantly fewer scientists working in dementia research than other conditions, with six times more people working in cancer than dementia. Alzheimer’s Society aims to attract new people to dementia research from a range of different academic and clinical backgrounds, bringing fresh ideas and talent to help expand the knowledge of dementia science. The doctoral centre in Southampton will investigate topics around the theme of enabling risk for people with dementia. Risk taking is an essential part of independence and control over a person’s life, yet staying safe while still allowing people to take some risks is an under-researched area within dementia care. The Doctoral Training Centre at the University of Southampton will include five researchers funded by a £423,000 grant from Alzheimer’s Society and additional funding from three NHS Trusts and the University of Southampton. It is one of eight new specialist centres around the country that are being co-ordinated and funded by Alzheimer’s Society. With funding from institutions, this represents nearly £5 million in new investment to support 53 PhDs and clinical fellows – the single biggest funding commitment to support early-career dementia researchers in the UK. Dr Doug Brown, Director of Research at Alzheimer’s Society said, “There’s a huge amount of progress being made by the dementia research community but unless we attract and train the best young talent we will limit how quickly we can make ground breaking discoveries. For too long dementia research has been underfunded and as a result we have significantly fewer scientists than other conditions. According to the Alzheimer’s Society, 225,000 people in the UK will develop dementia this year – one every three minutes. The Society’s research also shows that 850,000 in the country will have a form of dementia by 2015. In less than ten years, a million people will be living with dementia – a figure that is likely to double by 2051. 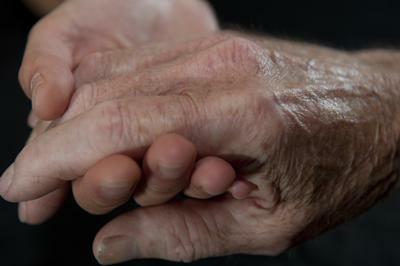 Dementia costs the UK economy over £26 billion per year, the equivalent of more than £30,000 per person with dementia.